The theme around our house this week...bugs. If you're just joining us, my son and I (really me, since he is two) have chosen different themes for our summer weeks. We do some little, simple, and fun things throughout the week to encourage exploring and learning. This week we've had fun with bugs. Since fireflies, known as lighting bugs here in the South, are the unofficial summertime mascot, it seemed perfect to end our week with a firefly project. Did you know that fireflies use their flash as a sort of insect code to find mates? They aren't just summertime favorites here in the South, they're lighting up the night sky across most of the United States in these hot summer months. Head outside and try to capture some and time how long the firefly's abdomen stays lit. Or how long it is between flashes. 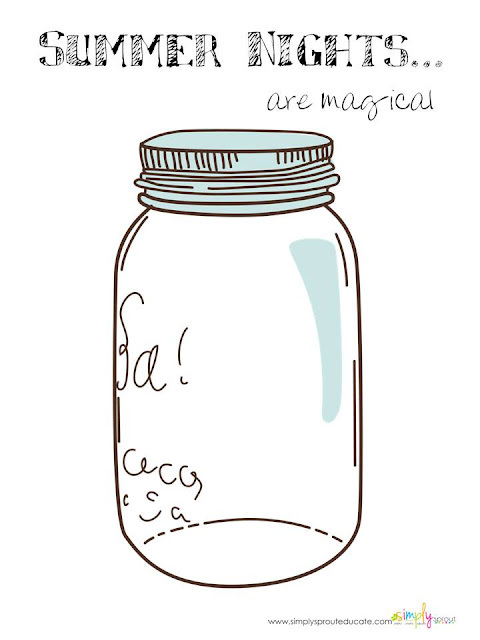 Then uncap your jar and let them continue to make the sky flicker with magic. 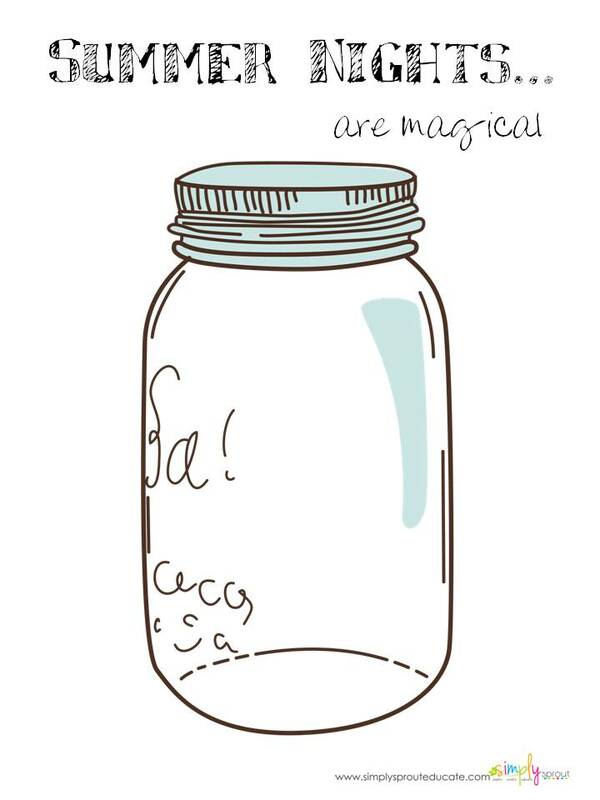 Summer time is pretty magical, don't you think? We have a lot of little friends around here experiencing their first sleep overs during these summer nights. 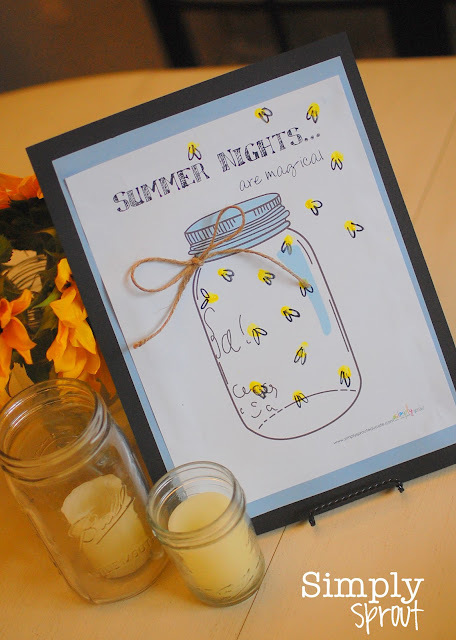 This Mason Jar and lighting bug print would be a sweet way to remember all the guests that lay their head down in your home this summer. Have yellow paint or stamp pad handy, and let them leave their mark. Simply add wings and their name and you'll be sure to remember their stay. I can't resist tiny fingerprints (unless they are on my windows, walls, etc. ), so our print lets me capture my son's little prints before they are bigger than mine! Make sure to right click on the image below and paste it into a Word document.